New app concept Huggg, which enables people to send friends a coffee or cake with a personal message via their phones, required strategic communications support for their consumer audience launch. The brand needed to establish their tone of voice, style and social media presence as well as coverage in the local media. 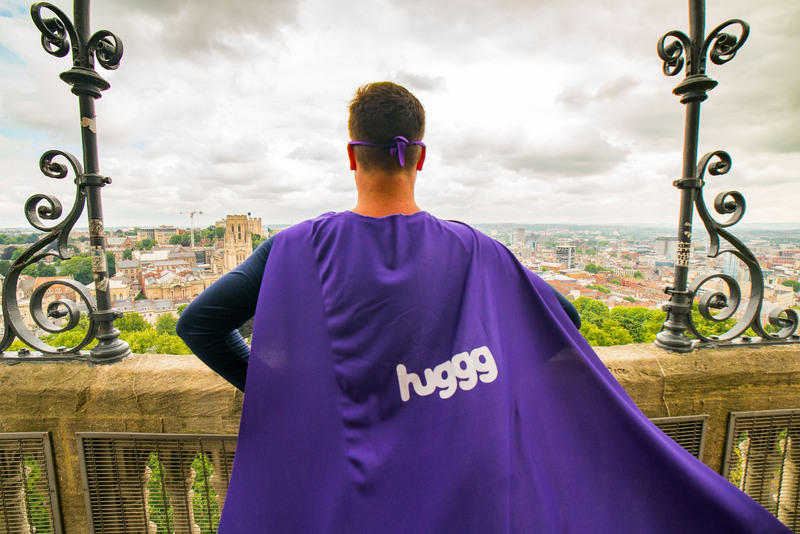 Initially launching in Bristol/Bath, Huggg plans to roll out nationally. Purplefish worked closely with Huggg founders to develop a multichannel campaign spanning media, social media and experiential activities. 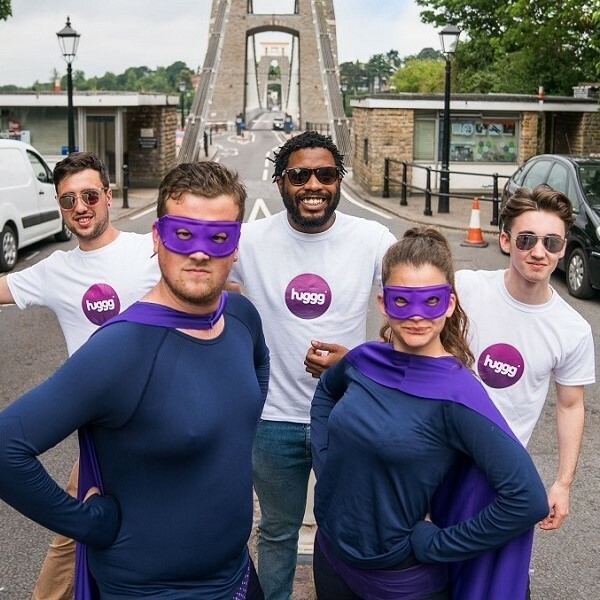 A pair of ‘Huggg superheroes’ - complete with branded outfits - were accompanied by a street team around Bristol and Bath to spread the message that through Huggg, we can all brighten people’s days and be everyday heroes. 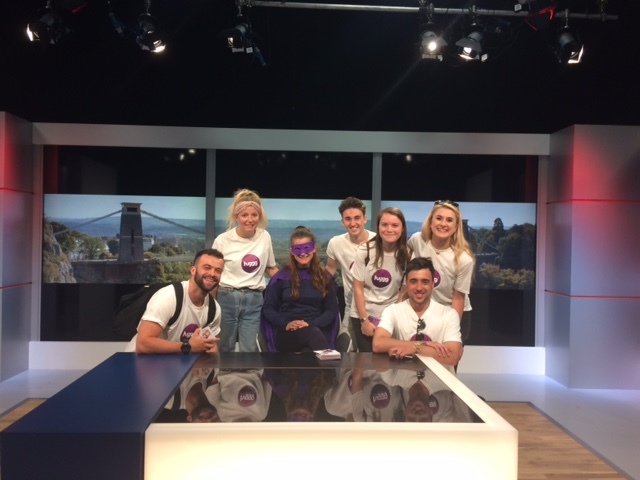 The purple squad burst into local media offices, even taking a seat in the ITV Westcountry studio. Photographs of the crew in iconic Bristol / Bath locations formed the basis of a social media campaign aiming to spread good vibes across the region. Competitions that offered prizes from Huggg’s participating merchants, run via prominent blogger channels helped to cement the brand’s message that acts of kindness needn’t be random. The app achieved more than 1,000 downloads and registrations in the first week alone. The social media channels, with their distinctive humorous personality, have grown into colourful profiles with great levels of engagement with prominent and local bloggers. The local news coverage that surrounded the launch spanned a circulation of 123,000 and was overwhelmingly positive. Huggg CEO Paul even appeared on regional television.